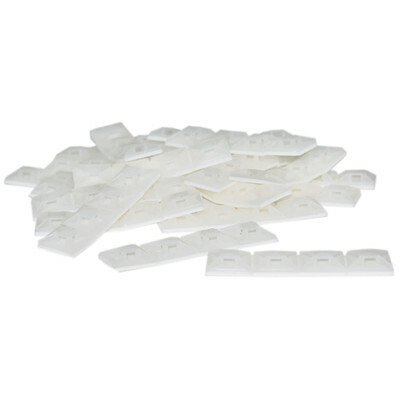 These are great adhesive clips for cleaning up those messes behind your Computer, TV, Stereo, Home Theater, etc. Organize all those wires once and for all. Each individual square clip has it's own adhesive backing. Remove the protective paper to reveal the adhesive, and place the square where you need a cable to be secured. The top of the square clip has an opening that allows a cable tie to loop through. Browse our cable tie selection for a winning combination in the war against cable clutter! Need to show a better picture of this product. Hard to determine exactly what it was so I had to assume it was the product I was looking for.